New report claims Mike Ashley still has summer takeover plans – I’ll believe it when I see it.. – NUFC blog – Newcastle United blog – NUFC Fixtures, News and Forum. New report claims Mike Ashley still has summer takeover plans – I’ll believe it when I see it.. According to the Chronicle, Mike Ashley is still hoping to sell the club this summer – claiming he’ll offer a ‘fresh package’ to any interested parties now our Premier League status is all but secured. We’ve heard it all before springs to mind with this one, with a clear theme developing regarding a potential takeover. If Ashley’s asking price isn’t putting buyers off, the threat of relegation is. Let’s face it, we’ve been an attractive proposition for prospective buyers for two years now, being a Premier League club with a world class manager at the helm, a 52,000 stadium and an incredible set of fans desperate for success. The potential is clear, but I can only presume Ashley’s asking price is the issue – and I fear his valuation will now go up once again now safety is all but assured. ‘Mike Ashley is understood to be receptive to an end of season sale at St James’ Park with Newcastle United believed to still be very much ON the market. ‘The Sunday Sun has learned that Ashley has not altered his stance on selling United and that his legal team remain on hand to put the paperwork together that ends his tenure in charge. ‘The Toon tycoon is currently in the United States on an Easter break but is monitoring the situation back on Tyneside with a keen eye on whether Rafa Benitez accepts the deal that is on the table for the ex-Liverpool boss. ‘With the threat of relegation just about staved off the Sports Direct magnate is ready to offer a fresh package to bidders during the closed season. ‘Indeed, with Premier League status set to be secured for the 2019/20 season, plus a positive set of accounts around the corner, there is a fantastic opportunity in waiting for a would be owner. The same articles claims an unnamed bidder was keen to buy the club earlier this year but was reluctant to pay £300m due to the very real threat of relegation that existed just a few months ago. 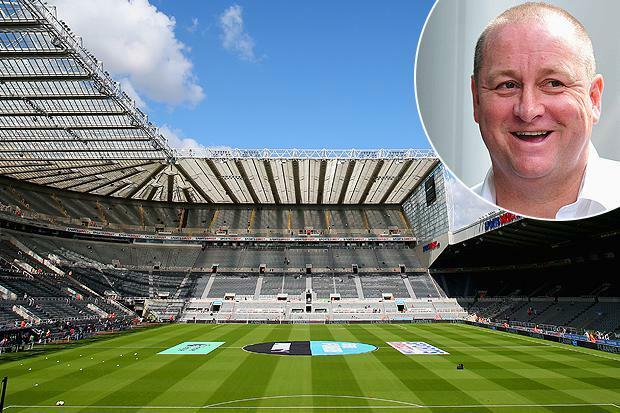 That fear has now disappeared, but, with that, you can almost guarantee that the £300m price-tag that was once slapped on St James’ Park will have also vanished, with Ashley no doubt demanding considerably more this summer – and that’s the big issue here. Talk of Ashley having the club ‘up for sale’ is getting tedious now. I’m sure he would like to sell, but there’s a big difference between that and actively looking for a way out – and I fear he’s in no rush to escape now he’s seeing Premier League cash roll in whilst gaining more fee advertising for his beloved Sports Direct. Sky reveal what Salomon Rondon’s done more than any other Premier League player this season..